Have you ever taught a film that teaches itself? Normally I try to steer clear of the notion, films teaching themselves, like one might avoid something too good to be true. It seems spurious, as if films have no choice but to position students reflectively within systems of looking and feeling constructed in the space of projection. Still, one example stands out in my mind, an essay film polemically potent and relentless in self-disclosure (it is a film made of course by a film professor). 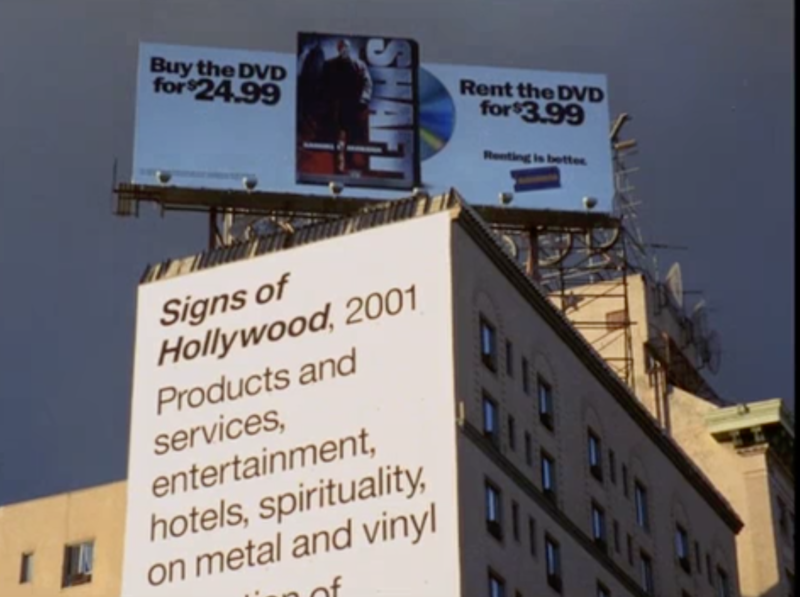 The work is Thom Andersen’s 169-minute opus Los Angeles Plays Itself (2003). A movie made from other movies, Andersen’s film essay addresses students in a media-savvy way, resembling a YouTube mash-up or cinematic hypertext unfolding in real time. 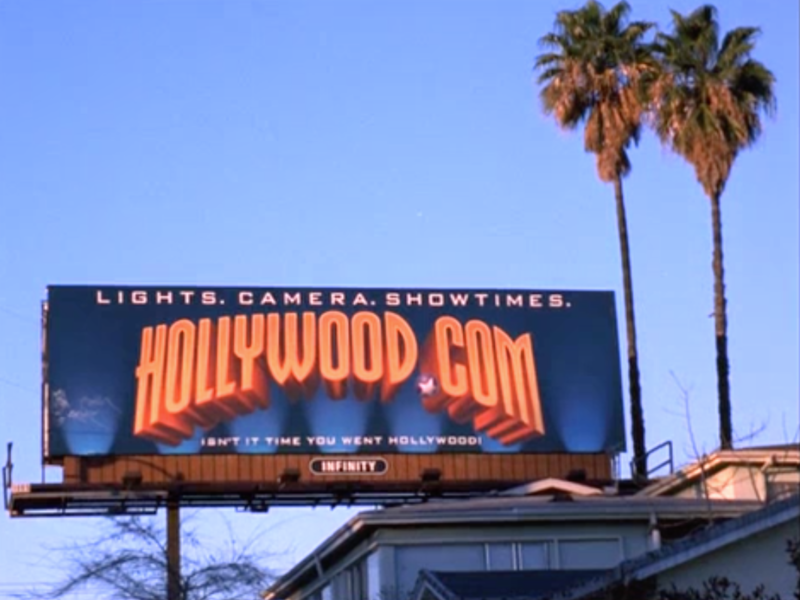 Around 200 clips from popular and obscure features set in Los Angeles comprise the film’s montage and lay the groundwork for the film’s didactic voiceover. 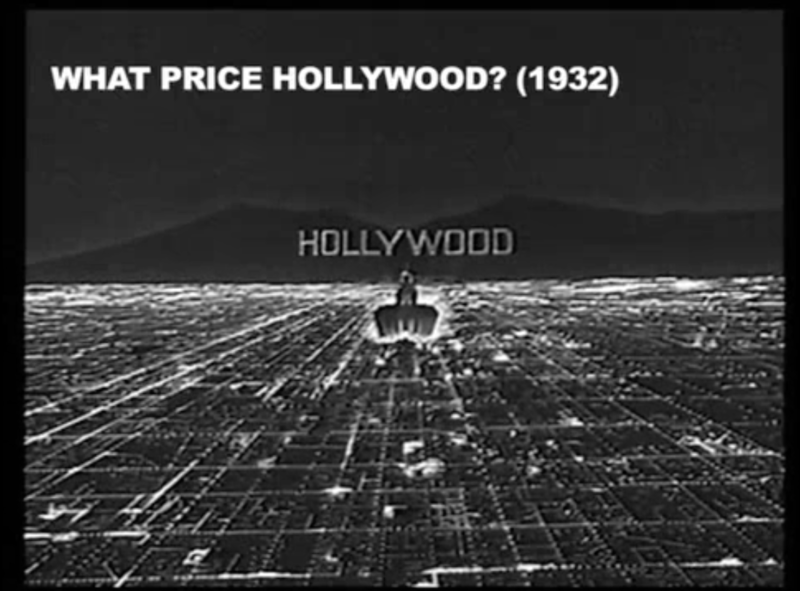 Encke King, the film’s narrator, relays an impassioned lament about the geographical overrepresentation of Andersen’s beloved L.A. (a city, according to Andersen, condescended by its acronym) and the broader suppression of civilian space by Hollywood’s fantasy factory. I find the argument resonates with students on an instinctual level even if they were not previously prone to make distinctions between real and “reel” space. The film’s inter-cinematic format furthermore affects students because it models a type of media know-how that is low-res and relatively equipment-free. Students realize there is nothing really about the film, technically speaking, they can’t reenact themselves with their own devices. I’m here to offer notes from the field as a graduate student who has recently taught this film in Harvard’s Visual and Environmental Studies Department during the Spring of 2015, two years after the film’s delayed arrival to DVD and impermanent residence on Netflix. Los Angeles Plays Itself was a cornerstone for our popular introductory lecture course, titled “The Art of Film,” wherein I acted as teaching assistant under Professor Laura Frahm. Frahm is an integral and visionary figure in our department because her course designs situate VES’s undergraduate track within an expanded field of visual culture, media, and urbanism. Spirited through a cine-architectural promenade within metropolitan space, Los Angeles Plays Itself speaks fluidly across these interdisciplinary contexts. Because it is such a thematic perfect fit for the course, the film initiated our public semester screenings. Our students likely were not privy to the historic excitement of seeing this once semi-illicit assemblage of unlicensed film rips blown up on the big screen. Although for years the film has been a bootleg classic among cinephiles, its increased availability and distribution in recent years may well mark a sea change in terms of the film’s institutional visibility and implementation as an object of study. In our course, the film became an instructive model and counterpoint for film analysis as well as critical media practice. It was a screening that became paradigmatic, something we reviewed over and over again, particularly in view of assignment expectations. A word about the course’s assignments: in addition to short weekly written reflections, the bulk of the graded projects were visual, not verbal, in nature, soliciting critical montage projects, silent re-edits of found footage, and longer visual essays that may contain dialogue. I’ll reflect on the content of these projects later in hopes of sharing what I consider, humbly, a success in terms of students rising to the challenge of multimedia creation vis-à-vis coursework. This is the city, Los Angeles. I live here. Sometimes I think that gives me the right to criticize the way movies depict my city. I know it’s not easy. The city is big; the image is small. Movies are vertical, at least when they’re projected on the screen. The city is horizontal, except for what we call downtown. Maybe that’s why the movies love downtown more than we do. While King rattles off memorable one-liners about the imaginative dimensions of cinematic space, airborne city views from The Strip (1951), Out of Bounds (1986), The Glimmer Man (1996) track past, demonstrating the mobility of moving pictures. King’s verbal affect here is impressively disenchanted—how do you even get to this level of gruffness via cinephilia?—with a whiff of self-irony. Again, my students love this. They tell me after the screening they hardly feel the long runtime because the film has the aura of a captivating lecture. I’m leery that students should fall under the spell of the film’s charismatic narration. Nevertheless, an initial discussion could simply recapitulate the flow of Andersen’s argument, for it is not simple. How does film and its surrounding visual culture constitute urban spaces real and imagined? Students might have some broad reflections here about how film experience catalyzes spatial awareness. I recall some lyrical comments in class reflecting on the way we feel when we look at images preserving places now gone—the creepy-sad emotion of looking at photos memorializing a place demolished in the present—or the annoyance we feel when an image misconstrues the location it is supposed to depict. A sharp student, keen to read between the lines of Andersen’s argument, might realize imaginary and real spaces actually are co-constitutive: spatial fictions bear considerably on what we might call the manufacture of the “real” in real estate. Andersen himself deems his film a “city symphony in reverse” and elsewhere espouses a neorealist ideal of the “cinema of walking.” Persistently constellating cinema and peripatetic visual culture, the film’s most didactic moments emphasize the interpenetration of film and everyday life. This theoretical premise presents in microcosm a guiding principle for how the course intends to go about introducing film theory: not with classical ontologies of the photographic image, but instead with more porous figurations of film as an extension of the street. As the discussion turns, I’ll tell the students to shift focus from the personality of the speaker towards the film’s verbal structuring of visual ideas. This is not such a hard pill to swallow because at this early point in the semester before the course’s first discussion section, the students have already been assigned a preliminary media practice assignment. Students are externally motivated to begin thinking along the lines of “how is this film made?” since they are committed to craft their own multimedia works in the future. Los Angeles Plays Itself has a tripartite shape, divided according to the city as “plot,” “background,” and “subject.” Like any polemic, these points of departure are prone to detours and suggestion, perhaps deriving extra rhetorical mobility from the shifting nature of the film’s montage. The different clips have a citational presence. Their individual titles and years of production appear in the corner of the screen, though the shots themselves appear transiently as decontextualized film fragments. Occasionally Andersen includes shots of film sets and locales alongside footage from feature films, giving way to a heterogeneous visual ensemble. 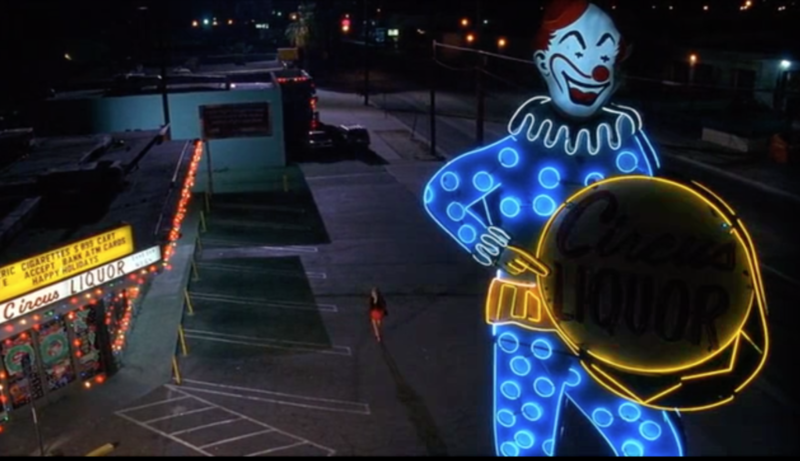 The film embodies a suspicious critique of ideology with its subversive collage of Hollywood projections of urban space. Yet it also investigates surface images as intriguing in their own right. Andersen at once plays popster and professor, equally concerned with the act of drawing out iconological links between images (repeat visual gestures, motifs, clichés that only a seasoned movie geek could navigate) as well as their sociocultural decipherment. It is fortunate the film displays a pluralistic critical approach—students take note! Discussion emerges from these formal observations. How does the film mount an oral argument by way of montage? Is “montage thinking” merely combinatory, an accumulation of visual rhymes and similarities destined to skirt horizontally over an archive of cinematic gestures? Or is the montage too blunt to be convincing, too dialectical, too hard-pressed to eke out meaning within the collision of different films, different film forms? These formal questions premise a more elusive methodological query, appearing to some students as a sphinx without a riddle: How does one read a film that already tasks itself with the reading of films? Forgive me if this issue seems overly reflexive. We train our students, as would-be cultural analysts, to interpret everything around them, including other critical interpretations and commentaries. A benefit of critically ambitious essay films like Los Angeles Plays Itself is that by projecting a virtuosic act of visual analysis they invite us to take it to task. Andersen’s film A) shows that superficial cinema appearances might not be what they seem, that horizontal tensions emerge when images are put in dialogue with other images and B) simulates a mode of “deep” film analysis that is intrinsically cinematic and can be read as such. That means even a film as tightly wound as Los Angeles Plays Itself might not replicate on a formal level the critical methods it claims to be performing. I tell my students something like this: “close readings want to be read closely.” The film spends so much time talking over its images. So put it on mute. A type of meta-methodological analysis happens when I ask my students to read the film’s rhetorical structure as a purely visual essay. How do images serve the voiceover? Are images merely illustrative in function in the film, or are they allowed to depart from the film’s own verbal explication? What is the argumentative currency of images in essay films anyway? One complaint some students had—one with which I sympathize—is that the film is reluctant to let images express themselves without spoken commentary. The montage almost always occupies a subservient position in relation to the narration. Early on in the film, Andersen claims disparagingly “[films] do the work of our voluntary attention, so we must suppress that faculty when we watch,” but perhaps his visual logic does little to reformat this spectatorial economy. I ask my students if Los Angeles Plays Itself could replicate its claims about cinematic space if it took the image as its primary means of explication. Is an essay film somehow less expressive, less essayistic, if it is wordless? I was delighted when one of my students took this question up as a challenge during her final project, a sped-up montage of the textures of noir, with few spoken phrases and countless cuts from films, wherein sutured views of unpopulated streets and rain-slicked building fronts amounted to an ambient map of the genre. No doubt, this is a high-level line of reasoning, no less for the entry week of discussions. Let me go on record to say that my students took this conversation in stride. The organizational rationale of exhibiting a self-analytical film like Los Angeles Plays Itself in the first week implicitly places less merit on rehashing questions like “how does one analyze films with properly filmic terms?” than in getting on doing the thing with a strong example. If anything, the course’s mix-up of pedagogical orders of operation generates in students a momentum, say, that accompanies the feeling of being thrown into the deep end. Enter, again, the critical media projects we assigned in tandem with Los Angeles Plays Itself. Students understandably get finicky about making their own essay films out of existing cinematic source materials. “So many things can go wrong technically”: this is the most common worry I heard, the second being that students were afraid they couldn’t make their voices heard by using images that were not their own. It can be challenging for some students to take control of their project if they don’t identify as artists or even “content creators.” My experience is that many do not, despite popular myths claiming millennials have all become knowing participants in a digital environment that spits out images ad infinitum. As a new teacher, I’m still learning how to foster and encourage student media production that is at once reflexive and flexible, able to reflect critically on the process of making while not being too self-conscious to shut down new ideas or novel approaches. I wish to conclude by outlining a few student projects constructed in the course à la Andersen. There were a few students who revamped the Los Angeles Plays Itself conceit closer to home, making their own locale the star of the show: “Harvard Plays Itself.” The idea is fascinating since Harvard somehow manages to be depicted endlessly in film and TV despite there being a ban on camera crews in the yard since 1970. Another notable project attempted a performative spin-off of Los Angeles Plays Itself, presenting the unique joy of a 19-year-old doing their best impression of King’s world-weary drawl while discussing the trope of road films. A last project, benefitting from peak quirkiness, made a visual essay exploring the material, affective, and psychodynamic presence of milk in such films as The Manchurian Candidate (1962), A Clockwork Orange (1971), and Léon the Professional (1994). This was perhaps my favorite project for the unexpected and twisted ways it configured the phrase “got milk?” as a cinematic compulsion. These projects are encouraging since they materialize students’ efforts to turn Andersen’s directive at the outset of the film—“what if we watch with our voluntary attention instead of letting the movies direct us?”—back on itself, finding new ways to think visually using images. Caufield Schnug is a 6th year graduate student at Harvard’s Visual and Environmental Studies Department. He is currently writing his dissertation titled Screening Atmosphere. He thanks his advisor Laura Frahm for her pedagogical guidance and inspiring visions for course design. Gilles Deleuze, Cinema 2: The Time-Image. Trans. Hugh Tomlinson and Robert Galeta. Minneapolis: University of Minnesota Press, 1985. 272.